When a loved one is in a coma, families often feel helpless. 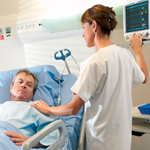 Although most people in a coma wake up within a few weeks, there’s no telling how long any particular patient will remain comatose. And in the meantime, families must deal with the considerable costs of prolonged hospitalization. If the patient’s injuries were caused by a third party, the family may decide to file a lawsuit to recover the expenses for medical bills and other losses. Lawsuits can be an effective way to make the responsible party pay for their mistakes. A lawsuit could cover past, current, and future medical bills, including at-home care costs, pharmacy co-pays, diagnostic tests, surgery, and ongoing hospitalization. A lawsuit could even help families recover lost wages, as well as non-economic damages like pain and suffering. But lawsuits proceed notoriously slowly. It can take months before progress is made in the court system. The promise of a lucrative jury award or settlement is cold comfort for families dealing with harassing calls from creditors or eviction notices from the landlord. 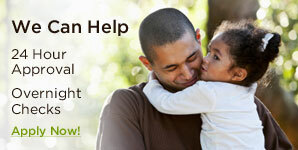 Legal funding can bridge the financial gap for families while they await a settlement check. Unlike a traditional bank or credit union loan, legal funding is non-recourse. That means that there’s zero risk to the family, as it never needs to be repaid if the plaintiffs lose their case. Plus, lawsuit loans can be used for any financial need. While your loved one is in a coma, you can use legal funding to stand in place of a paycheck. Use it to pay the rent or mortgage, buy groceries, or pay the hospital bills. If your loved one is transferred to a hospital far away from your home, you could even use the money from a lawsuit loan to pay for your transportation and hotel room, so you can stay by your loved one’s side. How does legal funding work? Is there a catch? It’s only natural to wonder if there’s a catch, but legal funding is a completely above-board way to solve a financial crunch while litigation is pending. Lawsuit lenders can approve legal funding based on the promise of a future settlement or jury award. If the family doesn’t receive a favorable resolution, they owe nothing. If they do receive a check, they pay back the lawsuit loan at a low interest rate. Here at LawStreet Capital, we understand that litigation is a long, arduous process. We try to make it as easy as possible to connect you with the legal funding you need to stay afloat while waiting for your settlement money. We’re one of the most trusted names in the lawsuit loans industry, with no hidden fees and transparent policies. We don’t even require a credit check or employment verification—and we offer 24-hour approval for your peace of mind. Use the simple application form on our website or call us today at 888.566.1189 if you have any questions. And remember—there’s zero risk to you. You’ll repay nothing if you lose your case.